It is officially the summer holidays. School’s out and the challenge of keeping the kids entertained has begun. Many families have started their holidays with a summer glamping adventure. It has been lovely to have families stay with us at Country Bumpkin Yurts now that they have the time during the week. There is nothing better than the sound of children laughing from the yurts, and the splash of kids in the hot (or cold) tub makes us smile. 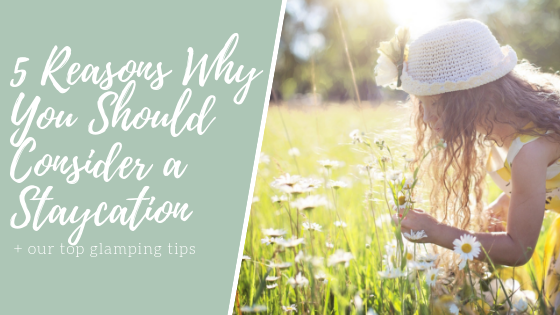 Thankfully, whether glamping with us or not, there is plenty to do in the area during the summer break. 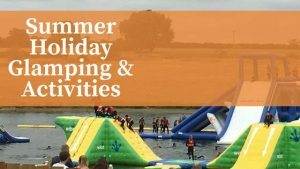 Our top two recently tried and tested activities include the Aqua Park at Rutland Water and Wistow Maze. Rutland Aqua Park is the largest floating inflatable course in the UK. I (Jen) had a go last weekend and LOVED IT. Measuring over 100m by 80m the floating inflatable Aqua Park has climbing walls, trampolines, balance bars, rockers, rollers, BIG slides and much more. hilarity is guaranteed. For £20/£22 you get a 50-minute session on the inflatables, which is plenty of time to give everything a go. You’ll need to arrive early to give you time to don a wetsuit (provided in the price) and have a briefing. In all, you’ll spend about 2.5 hours there so factor that into your planning. The Aqua Park is a 45-minute drive from Country Bumpkin Yurts and is set on the wonderful Rutland Water – a 1,255 hectare (3,000 acre) manmade lake and reservoir. It is well worth the drive. You could make a whole day of it by taking a picnic and taking part in other activities. There is so much to do! You can walk or bike around the 40 km (25 mi) lakeside track (rental bikes are available at the Rutland Cycling shop). Rock climb or try the high ropes course at RockBlok adventure centre. Hop on the Rutland Belle for a cruise around the reservoir. Sail, canoe, or windsurf at Rutland Watersports Center. Watch birds from one of several hides, or learn about the Rutland Osprey project at the Rutland Water Nature Reserve. Plus, don’t forget to visit Rutland Water’s most iconic image, Normanton Church. 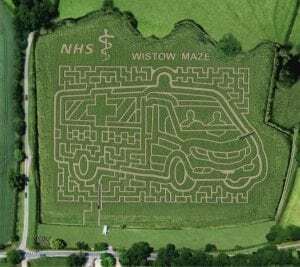 Wistow Maze is the winner of Leicestershire’s ‘Best Visitor Attraction’ and with good reason – we thoroughly enjoyed it. You can spend a fun day out exploring one of the country’s largest maize mazes, set in 8 acres of living maize and sunflower crop. It’s great exercise for mind and body! Perfect for all ages. Follow the fun Quiz Trail and see if you can find all 12 quiz boards hidden amongst the 3 miles of paths, with high-level bridges and viewing towers giving stunning panoramic views. You can come in and out of the giant maze as many times as you like during the day. Maybe stopping for lunch or playing in the Activity Funyard before re-entering and completing the Quiz Trail. Wistow is just a 20-minute drive from Country Bumpkin Yurts. Prices are £5.95 for a child, £6.95 for an adult. Top tip: if it’s a sunny day when you go, make sure you wear hats and sun cream as you’ll be outside for a few hours. Both Wistow Maze and Rutland Aqua Park are great activities for all ages. Both can be turned into whole-day outings so you need not plan much else that day. If you’re staying with us in our yurts, a BBQ would be an amazing end to the day. Followed by a dip in the eco-hot tub, of course. 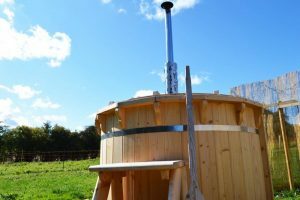 Glamping is for the adventurous and not-so-adventurous alike so if these two activities are a bit too lively for you, then a mooch round Market Harborough for the afternoon may be more your thing. Just 2 miles down the road will give you all you need; shops, museum, cafes, restaurants, parks and general prettiness. The summer holidays are full of potential in Leicestershire and Rutland! If you’d like to stay in our yurts with the family during the summer holidays, we still have some availability. Have a look at our calendar here and simply click the dates you’d like to book. ← The Canvas Café is going up! Glamping and café life in the East Midlands.